To get a closer look at Phoenix Children’s Hospital’s patient-centered Radiology service, visit www.phoenixchildrens.org. 1. Vinu, Raj. Occupational stress and Radiography. NCBI. Nov-Dec 2006. https://www.ncbi.nlm.nih.gov/pubmed/17119177. 2. 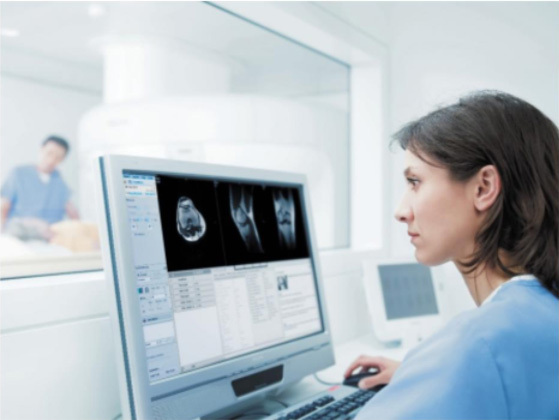 American Society of Radiologic Technologists (ASRT). Stress management for the radiologic technologist. Radiologic Technology 2012. 3. Andre, Jalal. Johanssan, Katarina. Relaxed patients, reduced motion, improved productivity. Fieldstrength MRI Magazine. http://www.usa.philips.com/healthcare/education-resources/publications/fieldstrength/mri-patient-experience-to-help-reduce-motion. 4. SmartExam is not available to patients with MR Conditional implants.